I do my flightplanning with ProATC/X to have a nice alignment of this ATC tool with my Airbus flightplan. However, I still do not entirely get how to properly transfer the ProATC/X flightplan to the bus. What I do currently and what usually fails is: I copy paste the route of ProATC/X into the Company Route Editor and name it for example LSZHLEMD01. Then I load this flightplan into the MCDU of the Airbus. While it always correctly tansfers each waypoint and departure and arrival airport, it does not work regarding airways. Is this intended? Example of the flight LSZH to LEMD: ProATC/X provided me the route LSZH DCT WIL MEBOX J70 MILPA UZ65 RBT03 DCT MURRO DCT MEN DCT DITEV UN871 LARDA DCT EDIVA DCT BAN LEMD. If I copy this into the Company Route Editor, it works without any error message. However, the bus then only loads the waypoints and completely ignores the airways. Resulting in a direct-to from DITEV to LARDA, which is obviously not what ProATC/X intended. I then tried to add the airway manually and failed. I was able to select UN871 as airway at DITEV, but LARDA as exit point was not possible. Why? First thing that comes to my mind is that your Navdata AIRAC is different on ProATC and on the Airbus. Can you confirm that you are using same Navdata provider and cycle on both? Yep, I can confirm this. I use the NavDataPro AIRAC from Aerosoft and the GUI to update the Airbus, CRJ and ProATC/X. They have all three the same database regarding AIRAC. 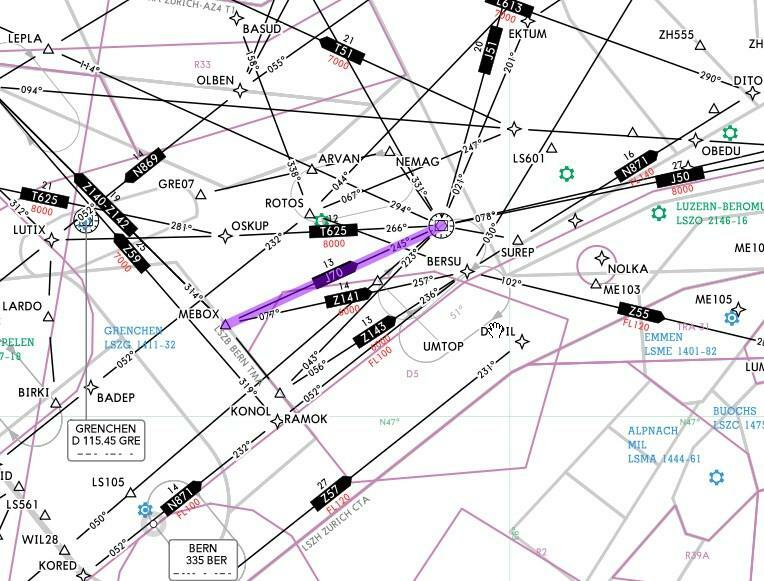 I think the problem is that ProATC produces utter nonsense: there is no airway J70 from MEBOX to MILPA, according to actual charts J70 is only a oneway from MEBOX to WIL. And this messes up the route string during conversion and results in simply DTOs. And TBH meanwhile we had several cases, where this tool is anything else then reliable. So if you want to have a tool producing reliable routes, choose something like simbrief. Yes, ProATC also flies UN871 in the wrong direction. Maybe you should ask Pointsoft, whether they will solve this problem.